Throughout my life I've had an on-again, off-again relationship with vitamins and supplements. Sometimes I remember to take them. Sometimes I forget. Sometimes I take handfuls. Sometimes I only take a multivitamin. I've gone through various stages of taking whatever the "now" supplement is. Remember how big acai was? Or maybe you've heard how good it is for you to take chlorella? Or probiotics? 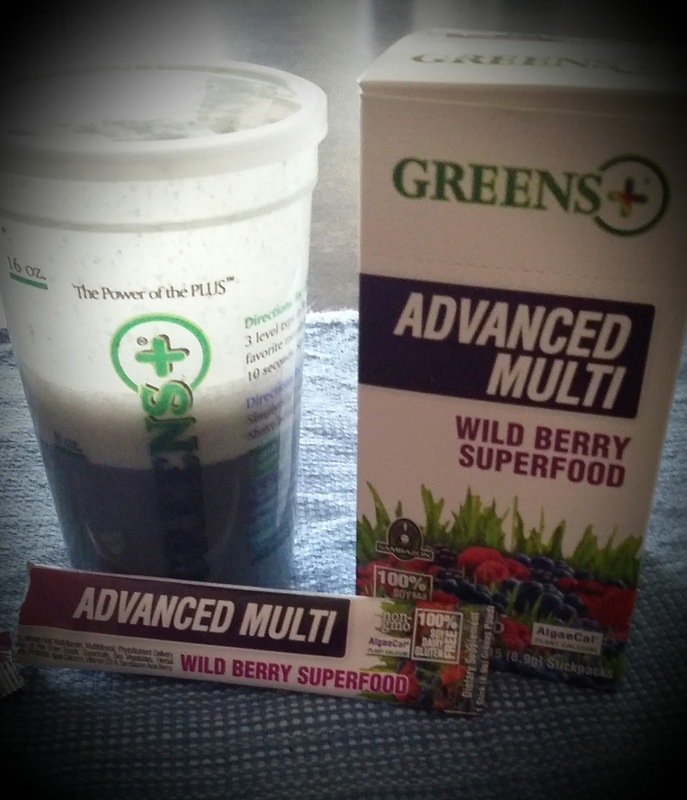 I was recently given the opportunity to try out some products from Greens Plus. They carry a line of supplements and bars that are based around healthy greens. 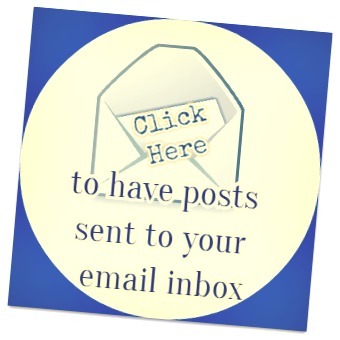 I received the items below for free to facilitate my review. No other compensation was received and all opinions are my own. 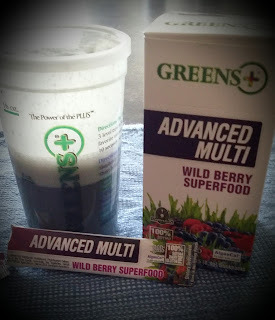 Greens Plus Advanced Multi Wild Berry Superfood. Wheat grass, barley grass, bee pollen, organic red beet, a sea vegetable multimineral blend (including chlorella), organic wild berries and pomegranate juice, green tea leaf and probiotics in addition to the "normal" vitamins and a host of other whole food ingredients. I like that it's easy. I like the berry flavor also. Like a lot of things that you have to mix, it can take a time or two to get used to, but it's worth it. I just shake mine in the Greens Plus shaker cup. Bone Building Minerals~~that's a plus for me right now since I have this broken hand and I'm going through perimenopause. Higher Energy Levels~~ Hello! 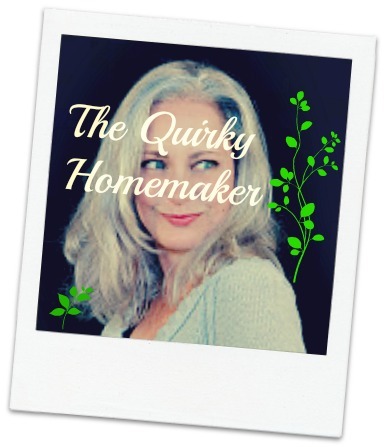 I'm a mom to two young-ish kids and as I said~~perimenopause. . . It also has the equivalent of 5 servings of fresh fruits and vegetables based on ORAC. Greens Plus believes in bringing you nutrition from the farm to the factory to your table. They have developed a proprietary way to save all phytonutrients and enzymatic activity in the whole foods that they use in the supplements. That means that every product delivers nutrition that your body needs on a cellular level to promote good health and energy. Greens Plus products, including their powders and bars are 100% GMO-Free, and Gluten-, Dairy-, and Soy-Free. Greens Plus also likes to support locally, regionally and globally sustained farms. There are coupons available right now on some of their products. All coupons are good until December 31, 2016. Greens Plus is sold at: Trader Joes, Whole Foods, Vitamin Shoppe, Safeway and Publix. What a handful of superfoods that actually taste good! It is good! And it's so nice that it's one supplement as opposed to all of the separate supplements in my cabinets. I have at least 6 different bottles that this one supplement can replace! 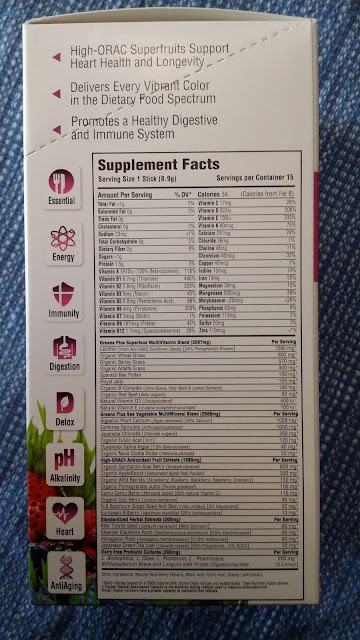 I did like the Wild Berry supplement quite a bit more than the Raw as far as taste is concerned! I just got accustomed to taking the Raw in a lesser amount of liquid and then following it with the full amount of water! I love the way my body feels right after I take the #GreensPlus! I haven't taken the raw as much yet. I like that the Wild Berry has the addition of the berries.